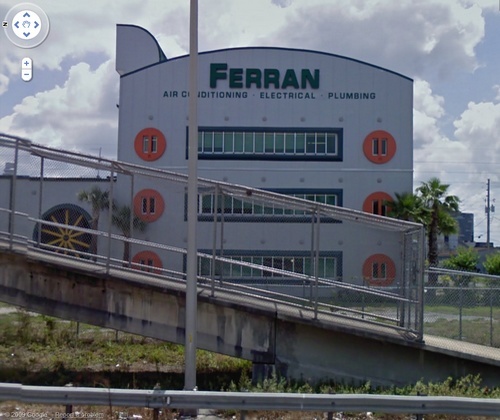 The headquarters of Ferran Services & Contracting, Orlando, Florida - a firm catering to central Florida’s Air Conditioning, Electrical, and Plumbing needs - reflects in its design, the services being offered by the firm. The wall faces of the building adorn large air-conditioning grills, a 12 feet (~3.65 metres) diameter working fan and 18 record size giant wall sockets - World's largest. 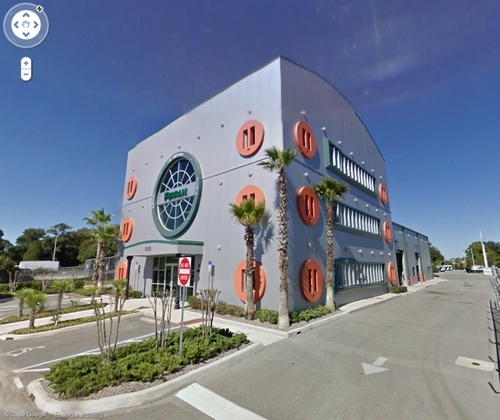 The design is brain child of its owner Dolph Marmetschke and Architect Leonard Feinberg.